Our goal is to give property owners a full-scale picture of any damage, infestations, or other common issues. In order to achieve this goal, we offer detailed mold testing and thermal imaging inspections. When you're ready to see your property inside and out, give us a call. Unchecked mold indoors can damage the structure of a home, cause wood rot, and ruin drywall. Most importantly, it can even cause health problems. That's why we offer a comprehensive mold test. 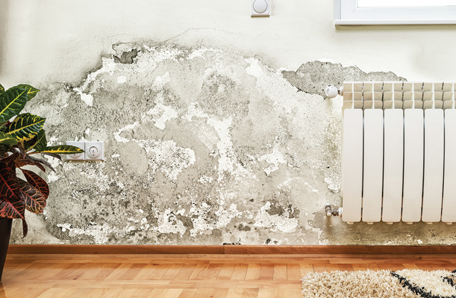 With this service, we investigate your property for any signs of water intrusion, a common cause of mold growth. For an additional fee, we'll also take samples of any suspected mold for laboratory analysis. Our mold assessors are licensed and insured to test for mold and perform IAQ (Indoor Air Quality) tests. Some states do not require licensing, but we make sure that everyone we hire has a license. Our Inspectors were trained by NORMI (National Organization of Remediators and Mold Inspectors) and remain active members to this day. Additionally, we hold an Active State of Florida Mold Assessors and Mold Remediators License and have performed hundreds of mold tests in order to include remediation among our qualifications. However, once a mold test is completed, a separate assessor must perform the remediation in order to avoid a conflict of interest. With this service, we use a state-of-the-art infrared camera to find problems that aren't always apparent to the naked eye. IR cameras translate the heat signatures of objects into colors on a gradient scale, with higher temperatures appearing as lighter colors, and lower temperatures and wet areas appearing as darker colors. 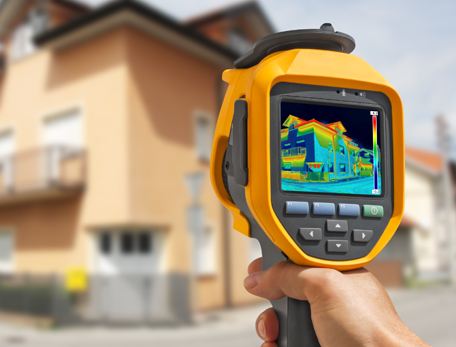 By evaluating these images, we can detect sources of energy loss, locate areas of moisture intrusion, pinpoint dangerous hot spots in the electrical system, and uncover other problems. An IR inspection can detect a variety of common issues, including wood-destroying infestations and flue leaks in the chimney, which can lead to carbon monoxide poisoning. -It allows you to see your home through the eyes of a critical and neutral third party. -It alerts you to immediate safety issues before agents and visitors tour your home. -It may alert you to items of immediate concern, such as radon gas or active termite infestation. -Defects won't become negotiating stumbling blocks later. -There is no delay in obtaining the Use and Occupancy Permit. -It helps you to price your home realistically. -It may relieve prospects' concerns and suspicions. -It may encourage the buyer to waive his inspection contingency. -It reduces your liability by adding professional supporting documentation to your disclosure statement. Your home is almost a year old! Before your 12-month builder's warranty expires have your home inspected for any construction defects or items that may not be functioning properly, or any other issues that may be covered by the builder's warranty“. You don’t need an inspection. It’s a new house and everything is under warranty” This maybe something you here from a builder or one of the builders representatives. You wouldn’t believe some of the stuff we have found on “new” homes in Oklahoma including waste lines that weren’t even connected. Your Builder's Warranty covers a great many items and systems in your home which may not have been installed properly, or without proper preventative maintenance measures taken. Negligence such as this is the cause for most of the problems a home will develop in its life. If you have purchased a new home within the last year and are concerned about current or potential problems with your home, you need a builder warranty inspection by Affordable Top To Bottom Home Inspections. You should not expect a builder to rush out immediately for a problem such as a nail pop in your drywall. Such problems occur because of the natural settling of the house and are best addressed in one visit near the end of the first year. Typical problems found in homes are: pipes that are not connected properly damaged or improperly installed, exterior siding, hot and cold reversed, and windows, improperly grounded electrical outlets and plumbing leaks, installed roof shingles and flashing. Most builders are responsive to defects that are located during inspection. It is recommended that you provide your Builder with a copy of the inspection report. 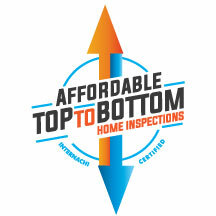 Affordable Top To Bottom Home Inspections will often reveal items in need of repair that could have gone undetected for years. Protect your investment and call us today to schedule an inspection. Our inspectors will take a few hours to thoroughly inspect your home and provide you with a computerized narrative report within 24 hours by email in PDF format. You should not be paying for items that were not constructed or installed properly the first time. Time is running out. Once the anniversary of your closing date has passed, your builder may not have the responsibility to correct many of the items that may be found. Call our office today to get one of our licensed inspectors out to protect your investment. safety issues or major deficiencies that could impact the quality and livability of the home. Proper functioning of the well and septic system is vital to a safe and sanitary home. In a Well & Septic Inspection, we’ll check both systems for code compliance and uninterrupted operation. We’ll collect water from the well for laboratory testing and check the sludge level of your septic tank to verify that it hasn’t exceeded the threshold that necessitates a pumping. We are able to inspect both anaerobic and aerobic septic systems only if the service lids are accessable without digging. We will also be offering to check the sludge level in the future which will identify the current levels of sludge and determine if the tanks will need to be pumped in teh near future. and inspect if for leaks. We will also make sure that it is properly ground. Home Theater System Inspection, Surround Sound Systems, Outdoor Kitchens, Pool and Spas, Wine Cellars and many more!